When contemplating treatment for permanent or temporary hair loss you have a variety of procedures to choose from. These treatment options run from natural based solutions to surgery. However, if you are looking for something that offers the effectiveness of a medical procedure with the benefits of a natural solution, infrared and UV light treatments could be for you. What Are Infrared and UV Light Treatments? Infrared light and UV light are both types of light waves. These light waves are directed at areas experiencing Hair Loss in order to stimulate blood circulation, increase cellular activity, and increase oxygen and nutrient supply to the hair follicle. When used properly, infrared light and UV light will both promote extended periods of hair growth and reduce the length of the resting phase in the hair growth cycle. Although the use of UV light in some situations can be dangerous, the light source and treatment methods used in these hair loss procedures are safe. The treatment is non-invasive, does not include the use of UV radiation, and will not burn or harm the exposed and targeted skin. During a regular Infrared or UV light treatment patients will sit under a light-emitting device for 15 to 30 minutes. The patient will not feel any pain or discomfort during the session. After the treatment individuals can go about their regular activities with precaution or change. While these treatment options may sound almost too good to be true, they do have one major drawback. Infrared and UV light treatments have only been shown to be consistently effective for the treatment of mild hair loss. For individuals who are just starting to lose their hair, or those who are experiencing hair thinning these treatments can work very well. However, for individuals suffering from long-term hair loss, severe hair loss caused by injury or major illness, or some types of Temporary Hair Loss this type of procedure may not offer the best results. In order to better determine if you are a good candidate for infrared or UV light hair loss treatments, it is best to discuss your condition with your doctor. He or she can help you determine the true cause of your hair loss and whether you could really benefit from these light treatments. If you decide that light treatments are a good option for you, it is best to understand the expected results before undergoing the procedure. Although infrared and UV light treatments have been shown to result in hair regrowth in over 50% of patients, there is a chance that the results will only be temporary or that you will not experience the same level of success. In some instances, the new hair growth will be thin or even patchy in appearance. 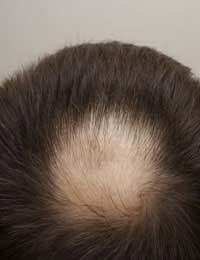 However, for individuals looking to stop hair loss, these treatments are over 90% effective. UV and infrared light treatments have been shown to be very effective in stopping the progression of hair loss. This means that, if you catch the hair loss early enough and undergo these light treatments, you can avoid the excessive loss of hair and control hair thinning. Depending on your condition and your particular needs Infrared and UV light treatments can be very effective options for the treatment of hair loss. However, to ensure the best success schedule a consultation with a certified practitioner in your area before beginning treatment. There are many more treatments for hair loss available to you, including Natural Remedies, Follicle Injections and Electric Pulse Treatments. Find out more on this site. I lost about a third of my hair during a period of stress.Would ultraviolet light treatment restimulate hair growth for me; if so is it available in the North East of England? how helps to infrared rays to stop hair hall or hair loss?